Dr. Urshan Health and Weight Loss Center is a Tampa Bay Physicians weight loss center that utilizes a technique developed by Dr. Ray Wisneiwski. His method helps people lose weight without harmful pills, painful injections or the constant feeling of hunger. Dr. Urshan will help you meet and possibly beat your weight loss goals. The technique to lose weight that Dr. Urshan uses starts with a way to see how the body communicates. For instance, when you use galvanic skin response to send messages to the body and evaluate physiochemical response, it helps determine your biological preference as well as factors like areas of the body that are weak or not balanced correctly. 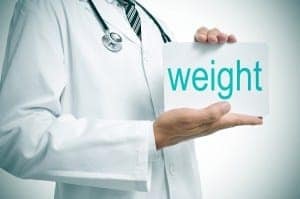 Dr. Urshan Health and Weight Loss Center specializes in Tampa Bay Physicians weight loss programs to transform your weight and health risks and helps you every step of the way. You will be able to boost your self-esteem and feel better about yourself immediately**. Now is the time to get started, and our team at Dr. Urshan Health and Weight Loss Clinic are here to help you with every step of your weight loss journey. See why so many people in Tampa Bay choose Dr. Urshan’s Physicians Weight Loss. Contact us today to start your weight loss transformation in Tampa, Carrollwood, Temple Terrace and surrounding Tampa Bay communities.